作者: The AsiaN Editor on 30 October , 2018. One year and five months have passed since South Korean President Moon Jae-in took office. During this period, Moon’s democratic leadership style and spirit of service have lifted public morale and salved past wounds. In his inaugural address, he voiced his desire to become a president who communicates with the public in order to create a “nation worthy of being called a nation.” His efforts to improve inter-Korean relations and promote peace on the Korean Peninsula have also been enthusiastically welcomed. In addition, institutional reforms have been steadily promulgated to enhance the transparency and accountability of large conglomerates. However, it didn’t take long for the harsh realities of South Korean society to materialize into prodigious challenges to his leadership. Although there were expectations and hopes for a fresh start, structural socioeconomic constraints have drawn more attention than symbolic political visions. The candlelight protests that paved the way for Moon’s ascent to the Blue House have now turned into a debt he must quickly repay, as his approval ratings have dropped from 84 percent to 49 percent. South Korean society and the Moon administration have entered on a difficult odyssey to find the latter of Janus’ two faces, one of which looks to the past, the other to the future. Although Moon’s government owes its existence to the candlelight vigils that brought down the government of former President Park Geun-hye, neither Moon nor any political party led the protests. Instead, the democratically inspired and awakened citizens of South Korea engendered them. Incensed by Park’s corruption, spurred on by an éminence grise who exerted untoward influence over her and government affairs, and deeply disappointed with the incompetence of South Korean politicians, citizens raised candles in protest to restore the country’s democracy. It is this cry of the nation that the Moon administration has taken up with the hope of realizing those ambitions through new policies and institutional reforms. Therefore, Moon’s government has a burden of great historical and social significance. The demands of the candlelight vigils can be narrowed down to the restoration of democracy, sustainable economic growth and the building of a just and fair society. The “new start” claimed by Moon was nothing more than fanfare aimed at meeting those demands. For South Korean leaders, however, Korean society is like a rough sea or a rugged mountain range: it is hard to know when the weather will suddenly change or a typhoon will strike. Although the president may at times seem omnipotent, in certain cases he or she is powerless to do anything at all. As a result, enthusiastic supporters can quickly turn into wild critics. Collective internet attacks on individuals with different views are shameful examples of the immaturity and low quality of democracy in South Korea. It is not easy even for skilled leaders to navigate the treacherous reefs of Korean society. The dynamic history and contentious nature of the country’s politics testify to this, and Moon’s tenure as president will be no exception. How well will Moon steer through these rough waters? To answer this question, a critical analysis of some of the political and economic phenomena since his inauguration is needed. Despite the progress of systemic reforms aimed at restoring democracy, it has not been easy to remove deeply rooted evils. Economically, the gap between the rich and poor has been worsening, despite efforts to build an inclusive welfare state and to create jobs with various policies to achieve sustainable economic growth. What lies behind these phenomena? What could have caused this dire situation? It is true that the South Korean economy has suffered from multiple factors, including China’s long-term retaliatory measures triggered by Beijing’s immature response to the hasty deployment by Seoul of the US THAAD missile defense system, the rise of protectionism and trade wars, and the weakening competitiveness of South Korea’s manufacturing sector in the era of artificial intelligence and other high tech developments. But the failure of economic policies cannot be attributed to these circumstances alone, for every economy has had to face difficult challenges. Leadership can only be respected and supported when it overcomes such difficult times. Moon’s first scheduled visit after being sworn in was to Incheon International Airport — a state-owned corporation — on May 12, 2017, where he promised to regularize 10,000 temporary employees and declared the end of irregular employment in the public sector. The president, who responded to the grievous situation faced by irregular workers by championing the philosophy of the “people first,” was warmly received by many citizens and workers alike. At the time, however, voices of concern were also heard over the unrealistic nature of these policies. Those who spoke out worried that such high expectations would turn into deeper disappointments. They aired the concerns not simply because of political differences, but because they believed that many unexpected economic constraints and institutional complexities would inevitably emerge like reefs in a seemingly calm sea. The policies should have been premised on a careful roadmap and a detailed action plan to overcome these unintended consequences. This style of inexperienced and rigid policy implementation has also been reflected in the minimum wage increase and the shortening of working hours. In 2018, the hourly minimum wage was raised by 16.4 percent to 7,530 won and is expected to increase by 10.9 percent to 8,350 won by 2019. Effective from July 2018, maximum working hours were reduced from 68 hours to 52 hours per week. These policies were Moon’s signature campaign pledges. However, they have also produced unexpected results. The wage increase was offset by inflation, and employers pre-emptively reduced employment out of fear over the scheduled increases in labor costs. Small- and medium-sized enterprises (SMEs) with weaker balance sheets were hit hard, as were the self-employed, whose rate of closures rose to 88 percent. The reduction in working hours also made management of SMEs more difficult and caused a paradoxical phenomenon in which the incomes of many SME workers actually declined. In the end, both policies, regardless of their good intent, created a situation where everybody lost and the poor and socially underprivileged had to fight over depleted resources. The failure of the Moon administration’s economic policies has created an even greater paradox in its policy toward real estate. 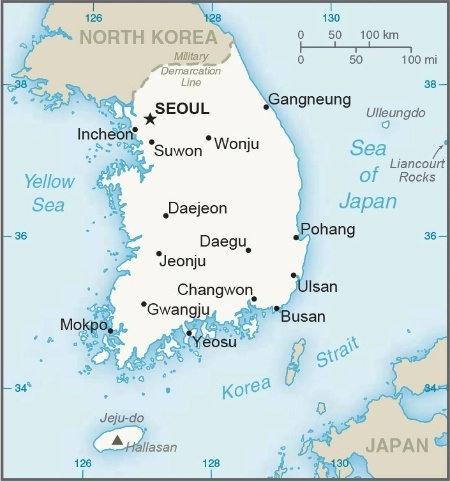 This was originally aimed at strengthening regulations, such as imposing higher taxes to suppress the increase in real estate prices in areas of Seoul, including the Gangnam area, so as to eliminate economic polarization and social unrest and to create favorable conditions for young people to purchase their own homes at affordable prices. However, the policy, which stimulated the psychology of real estate consumers who were sensitive to school districts and who confused it with the education policy, overlapped with the commitment to property development of Seoul Mayor Park Won-soon, who hopes to run in the next presidential election, and the real estate policy of the Ministry of Land. As a result, the policy caused real estate prices to skyrocket throughout Seoul. Now, the dream of finding a way for young people and non-homeowners to finally purchase their own homes has been shattered. This rigid and piecemeal economic policy, which failed to read the flow of the market and which was preoccupied with equality and justice, has further undermined social justice. In addition, elevated housing costs have depleted the extra capital of households, creating a vicious cycle of shrinking consumption across the economy. However, the Moon administration continues to blame what it describes as the immoral avarice of speculators for these results. The drop in the approval ratings of the Moon administration is, therefore, related to the failure of its economic policies. In the summer of 2018, when temperatures soared to record highs, air conditioning was an important social issue. On Aug. 7, Moon stressed that protecting the people from the heat was a form of “welfare that is directly connected to life” and mandated that the progressive electricity tax be temporarily suspended for residential homes. The suppression of the electricity tax is a regular menu item that all administrations use and that the public is sensitive to and yearns for. However, the fare system that gives preferential treatment to the industrial sector and burdens ordinary households with higher electricity rates was designed in the era of economic development in the 1960s, but has been maintained up to now. In fact, low electricity rates have been cited as one of the critical incentives for foreign companies to enter South Korea. Nevertheless, the Moon administration, unable to overcome the resistance of large corporations, does not exhibit much willingness to address the situation. Meanwhile, cuts in electricity rates due to political pressure have resulted in financial losses at Korea Electric Power Corporation (KEPCO), resulting in the government quietly providing assistance to the company to the tune of over 2 trillion won each year. This policy is an example of the government’s short-term political calculations and the kind of ignorance of consumers that leads to populism. Repeatedly following such policies will result in poor oversight of public enterprises and a chronic burden on state finances. Shouldn’t changes in policies such as these be the subject of economic reform? The goals and direction of the Moon administration’s economic policies might be controversial, but they were among the politically viable options available when it came into office. Under a democratic regime, the president and ruling party can set new political strategies and the direction of reforms. However, poor performance resulting from failed economic policies that cause higher social costs and produce lower benefits can abruptly disappoint capricious supporters as well as formerly neutral citizens. It is certainly too early to evaluate the policies or leadership of the Moon administration, and 49 percent public support can never be judged as perilously low. Therefore, the current crisis could be a good wakeup call for the Moon administration, despite its delay in taking corrective actions and the heavy costs that have already been incurred. The moderate decline in public support for the administration could even be reassuring for the president, policy-makers and supporters. Previously, the Moon administration’s high approval rating was its best weapon supporting its policies. Because the ruling party didn’t control the National Assembly before the June election, it had to cite its high popular support when it sought to press the opposition. However, after winning the majority in the June election, the ruling party was able to execute mid- to long-term policies without being tied to approval ratings. But shouldn’t the government pay attention to short-term changes in popular approval? In this respect, the recent drop in approval ratings could, in fact, be a paradoxical gift. If the meaning of this gift is put to good use, Moon’s leadership could be restored. Are the reforms under the Moon administration going well? So far, the work of cleaning up the past has been executed briskly; however, the countless illegal and corrupt actions of the Lee Myung-bak and Park administrations, as well as the damage they inflicted on democracy, were deep and extensive. Suspicions even materialized that the Park administration simulated a military coup during the impeachment process; and the Supreme Court expressed particular shock at evidence of presidential control over the court system. In such circumstances, however, the Moon administration’s reforms have generally been evaluated positively. Nevertheless, in terms of priorities, the people want concrete economic and social benefits more than they want the removal of deep-rooted evils. Therefore, economic and social reforms are more urgently needed. Unfortunately, however, Moon and his government are caught in a dilemma, stuck between the resistance of organized vested interests and the explosive demands of their unstructured supporters, leaving the administration virtually breathless. Despite the candlelight protests, the forces of vested interests, which are deeply rooted in South Korean society, remain intact within conglomerates, the bureaucracy, unions, political parties and even civil society. These vested interests are reflected in the existing political and economic systems and linger in the culture and consciousness of many people. Among those vested interests, no distinctions exist between the ruling party and the opposition party, or between conservatism and progressivism. These age-old vested interests are not objects to be replaced, but objects to be creatively destroyed. The National Pension System is one representative case in which prescriptions for reform repeatedly meet resistance from vested interests. As of 2016, pensions for government officials and the military, which on average are six times the national pension per capita, are subsidized by the government to the tune of 3.6 trillion won. The recurring issue of equity is not improved by the resistance of such vested interest groups. On the other hand, the percentage of those who pay national pension premiums is very low at 58.8 percent of the economically active population, but the Moon administration, afraid of a backlash among its support base, is also averse to increasing the ratio of premium payers and to reducing the number of those who have until now avoided payments. Reform of governance structures that would improve the performance and enhance the transparency of the National Pension System is currently stalled. Such reforms, however, are an urgent task for South Korea, which is already facing a population crisis and the burdens of an aging society, but there is no leadership to overcome vested interests and to reach an understanding from the government’s supporters for needed reforms. It would appear, rather, that the Moon administration has been colluding with vested interest groups in the area of labor reform. The administration’s pursuit of a “society that respects labor” is pie in the sky for irregular workers and workers at SMEs. According to the World Economic Forum’s 2017-2018 Global Competitiveness Report, South Korea’s labor market flexibility ranks 106th out of 137 countries. This low competitiveness is attributable to the low productivity and rigidity of regular full-time workers’ unions at large corporations. These so-called aristocratic labor unions are, in fact, enjoying the fruits of the new administration’s reforms, while the rest of workers continue to be subjected to greater relative deprivation. Only when concrete measures are taken to dismantle the structure of vested interests and resolve the divide within the labor market will the leadership of Moon be able to truly shine. Will Moon’s leadership be remembered as a “new start?” Or will it be buried in the rough waves of Korean society, without overcoming the structures and practices of the past? The answer depends on whether Moon succeeds in dismantling the unfair and exclusive structure of vested interests and creating a fair and harmonious society. Communitarian leadership, through the cultivation of virtues, is needed for institutional reforms to succeed and to cast a new vision of the future that involves noblesse oblige from the wealthy and improves the sense of ownership and accountability for the poor. The new leadership needs honesty and courage to persuade supporters to accept lower income tax exemptions and to pay more in taxes. It will also have to be rigorous enough to isolate itself from the old practices and past culture of political and social forces that have relied on election engineering tactics to pursue new vested interests. In order to achieve this, Moon must at times be the terrifying lion that directly confronts vested interests and at other times the clever fox that draws tears from his supporters. The leadership of German Chancellor Gerhard Schröder during the period of labor and welfare reforms in Germany holds great implications for South Korea. Instead of directly regulating the market, we need wisdom and strategy to utilize productivity and creativity. Was it not Karl Marx who said that it was not the wickedness of the capitalist, but his creativity that is to be most feared? President Moon’s autobiography is entitled Moon Jae-in’s Destiny. But I expect that it will be a destiny that is not given, but a destiny in which a new era is created that does not end with Moon alone but can be connected to the greater destiny of Korea.